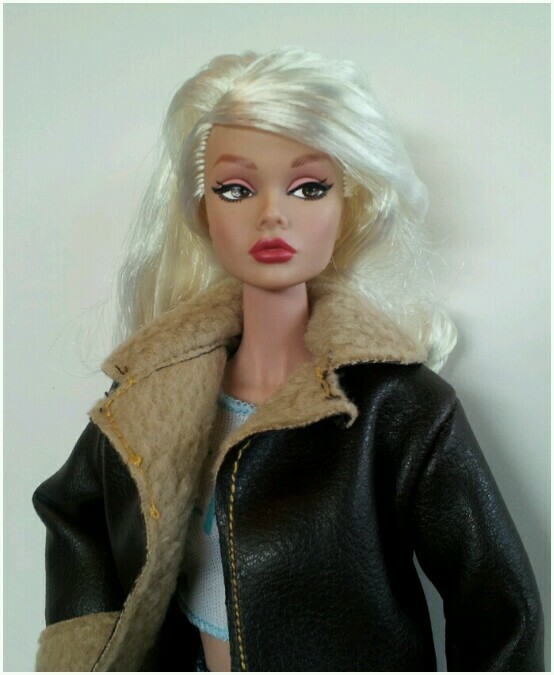 After a long layaway I finally received my very first Fashion Royalty Poppy Parker doll. 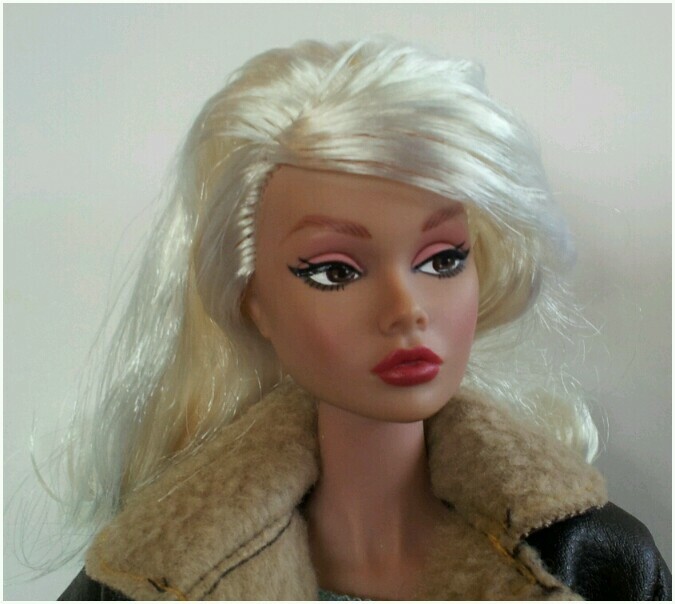 I know some people consider her lips to be too big, a too dramatic "bee stung" look, but I like the pouty style on this doll. I've wanted one of these for a couple of years, and finally managed to find a company that would take a layaway plan (Gigi's Dolls), and also had a doll in stock. I did not like her hairstyle. At all. Sure, it fits a certain decade well, but it's not the style I envisioned for her. So I removed the pins and clear bands, and gave her a nice shampoo. I used the same thing I use on my hand knits, which is Soak. 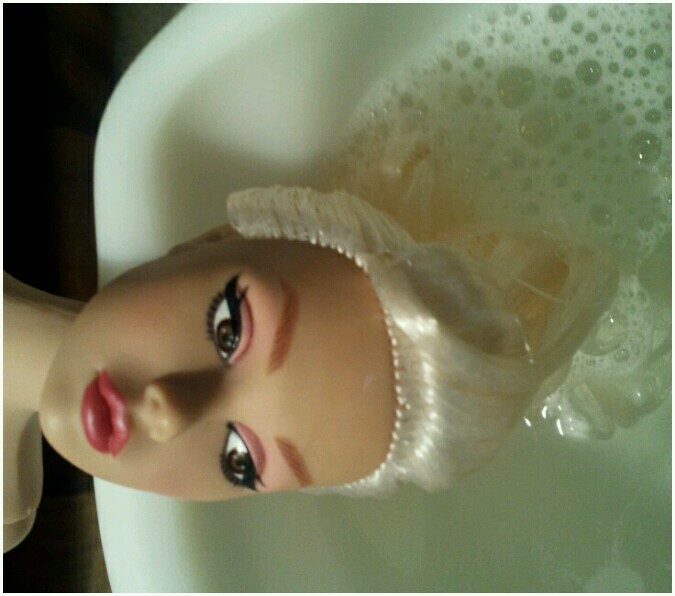 It's technically a 'no rinse', but since this is a doll head and not wool, I rinsed until there were no more suds. After carefully combing her hair out and into place, and working to flatten the hair on the top of her head so it was no longer 'high rise', I'm much happier. I think it's a testimony to Fashion Royalty's doll designers for this doll that even though I took her hair out of their style, I didn't need to trim it in any way. It was ready to fall around her face and shoulders nicely without more than combing and a little fussing. I've had other dolls that I restyled, and had to give them a major hair cut to make them look normal, and sometimes even had to add extra hair to cover bald spots! 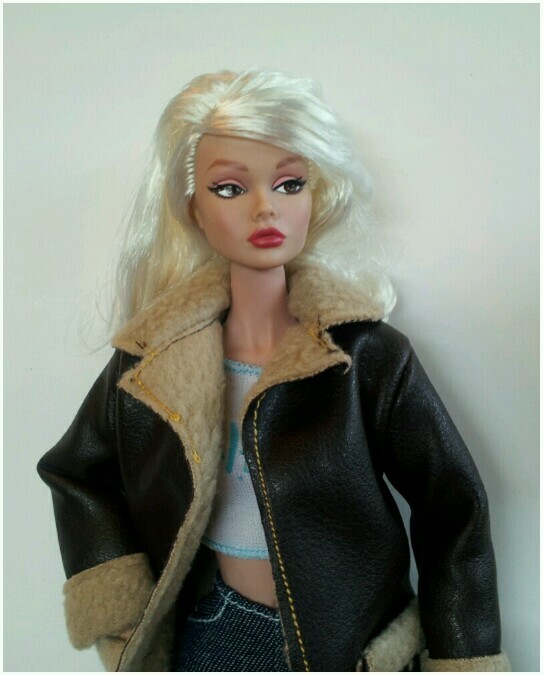 So here is my first Poppy Parker doll, hair restyled, and redressed in some random 12" fashion doll clothes I'd scored somewhere along the line. I like her in this more modern look!